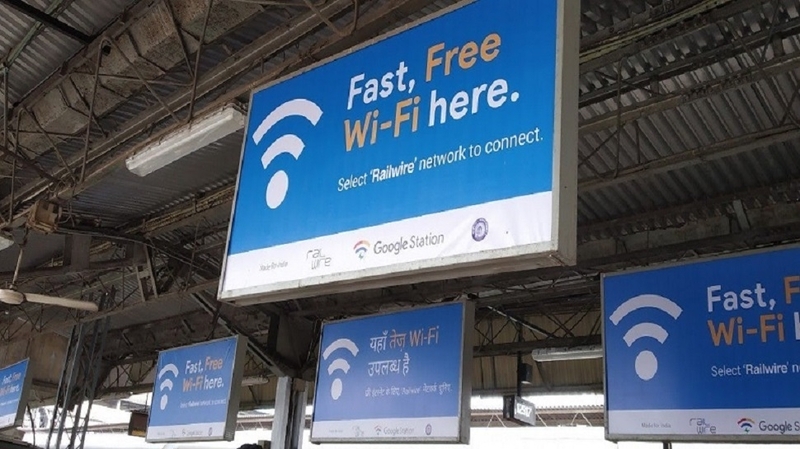 RAILWIRE Wi-Fi by RailTel is now live at 1,600 railway stations across the country, with Santacruz railway station in Mumbai becoming the 1600th station to become a RailWire Wi-Fi zone, the Western Railway said on Wednesday. RailTel Corporation, a “Mini Ratna (category-I)” PSU, is one of the largest neutral telecom infrastructure providers in the country owning a pan-India optic fibre network on exclusive Right of Way (ROW) along Railway track. RailWire is a retail Broadband initiative of the RailTel, which envisages extending broadband and application services to the public. “In order to fulfil the promise of bringing fast and free Wi-Fi at all stations (except the halt stations) within a year, team RailTel is tirelessly working to achieve the target and in this process, WR’s Santacruz station became the 1600th railway station of the Indian Railway which has now been equipped with RailWire Wi-Fi connectivity,” the WR said in a statement. WR CPRO (Chief Public Relations Officer) Ravinder Bhakar said Reay Road station of the Central Railway became the 1000th station to be covered under free wi-fi facility two days back. “Now Santacruz station has become the 1600th station in the country to have fast free RailWire Wi-Fi,” he said. RailTel CMD Puneet Chawla termed the development as an outstanding achievement. “RailTel has provided high speed Wi-Fi at 985 stations with own/other funding and at 415 A, A1 and C category stations, associating Google as the technology partner for radio access, while using the RailTel backbone for broadband connectivity.